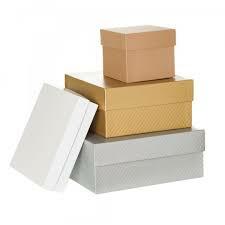 Weiqun Industrial Corporation is a leading packaging producing company, customizing various uniquely styled quality packaging products for many industries worldwide. Weiqun commitment is to offer good customer services and quality products at reasonable price. By developing our own designs with the help of our talented industrial designers and diligent research and development staff, Weiqun not only thrived in the hyper-competitive packaging industry by offering customizing services, but also by innovative designs and incomparable values in the market today. About Shenzhen Weiqun Industrial Corp.
Weiqun has 10,000 square meters of modern factory with clean room and more than 600 workers. Main products include : Cosmetics Packaging, Jewelry Packaging, Food Packaging, Gift Packaging, Electronics Products Packaging, Stationery Packaging, Household Articles Packaging& Clothing Packaging. All of them can be made by various different materials like paper , leather , velvet , satin , MDF, plastics, iron etc .With many years of cooperation with many famous brands , Weiqun has obtained ISO9001: 2008&TUV certification and passed audits of WALMART&”Global Market ".